When someone first views your website on their mobile device, what are they greeted with? Your website is often the first impression a new prospect sees of your business. Mobile devices are being used for web browsing on an ever rapidly growing basis. For many sites, including B2B, 56% of website traffic comes from mobile users. People want information and services, and they want them fast: With the constant advancements in technology, it is possible for you to access this information and the services through smart phones. Rise of the smart phones: Smartphones have become more affordable over the past few years. These devices are excellent for hand-held browsing. Since the sale of smart phones is increasing, it only makes sense for companies to have a site that can be easily browsed through on these devices. Popularity of mobile internet: According to studies, about 82% of the people who have a mobile phone use it for going online, and half of them will go online at least once every day. This presents a huge opportunity for a business. Inexpensive option: Because mobile screens are a lot different from computer screens, the website design has to change accordingly. Any website older than 3 years should be converted to a mobile friendly “Responsive Design” site. Don’t get beaten by mobile friendly competition: People love to browse while traveling. However, when they find that sites that they normally used at their PCs are not mobile compatible, they might end up switching to a site which provides similar services and is mobile compatible as well. SEO benefits: Having a mobile friendly website also helps in SEO as it helps improve rankings on mobile friendly search engines such as Google or Yahoo. In fact, since early 2015, Google gives ranking preference to Responsive Design (mobile friendly) websites. Better user experience: Earlier, it might not have been possible to make a mobile site and give the user a good enough experience because of the low-bandwidth and server speeds. However, this has changed and you can be assured that using a good mobile site will be an enriching experience for a user. Referrals from Social Media: The number of people accessing the internet via mobile is soon expected to become greater than those accessing it via a PC. This, more than anything else, should be a clear indication for you to make your site mobile friendly or create a new site that is mobile friendly. Apart from that, the biggest draw on the internet today are social media websites. Many people access these websites through their mobile devices. If they come across a link to your site, they would want to view it on their mobile screens. What to do: Any business that has a presence on the internet right now should make appropriate changes so that its website is mobile friendly. 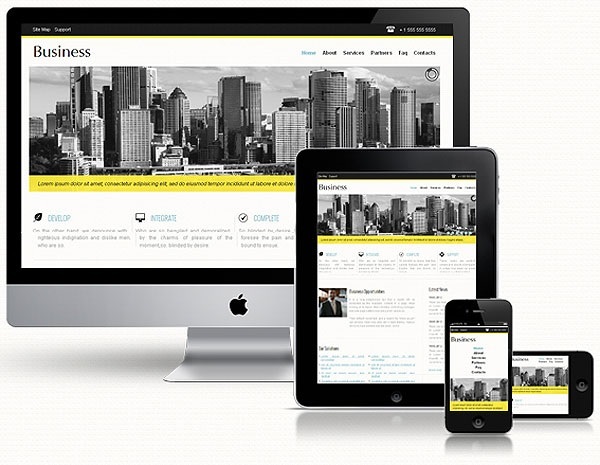 To do that you need a responsive design website that allows your site to be viewed on any size different device. There are a few options to explore including a separate mobile version of your site or converting your site to a mobile friendly responsive design site. ← Website Nerds Holding You Hostage?